Danby's large capacity, energy efficient, counter-high fridge offers plenty of additional refrigeration in a compact space. Suitable for rec-rooms, dens and workshops, this 4.4 cu. ft. model includes the patented Canstor beverage dispenser for all your favourite drinks, a handy full-width freezer compartment, easy to use defrost controls. 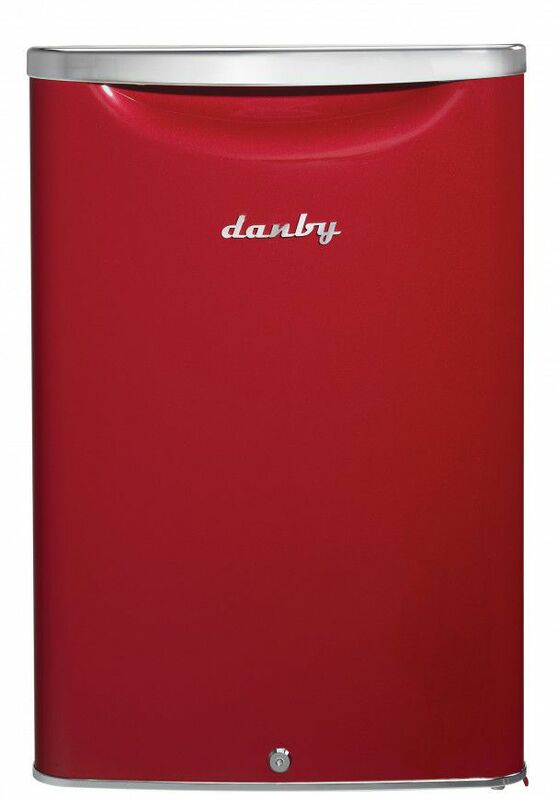 2.6 Cu.Feet Contemporary Classic Compact Refrigerator - ENERGY STAR® Drawing inspiration from mid-century styling and simplicity, Danby's patented Contemporary Classic collection of compact refrigerators reimagine retro for the modern consumer. Featuring Danby's exclusive retro-inspired curved door design, metallic door and chassis finish, door lock, rubber-grip ergonomic chrome handle and stylized chrome worktop, its exterior features are only outmatched by its signature black interior. 2.6 Cu.Feet Contemporary Classic Compact Refrigerator - ENERGY STAR® is rated 4.0 out of 5 by 1.